I am always recommending to you readers, to be a tourist in your own city or country. It’s one of the cheapest and easiest ways to travel and to fix that wanderlust that lies in all of us. You would be surprised at how many amazing things are just around the corner. You could have a long day out exploring a town or city that is near the place you live or you could go to the countryside and try to find some local wildlife. It does not have to be some huge expedition. You will be surprised what a difference it makes. 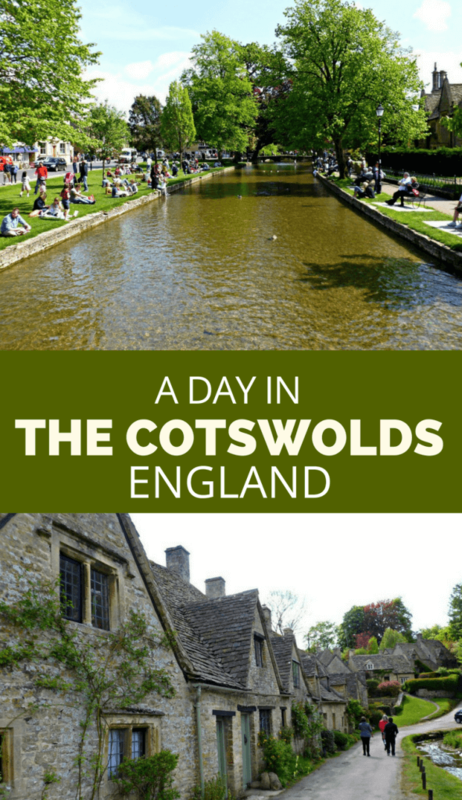 We ourselves were tourists in our own country last spring in the beautiful Cotswolds. The Cotswolds are a range of hills in southwestern and west-central England. Surprisingly the area is not as big as people presume. The range is only 25 miles (40 km) across and 90 miles (145 km) long. The Cotswolds are mainly in Oxfordshire and Gloucestershire but they also cover parts of Wiltshire, Somerset, Warwickshire and Worcestershire. The whole area has been designated an area of outstanding natural beauty and it’s not hard to see why. From picture post card English villages & hamlets to stunning countryside as far as the eye can see. This is the England that you see in movies. We started off our day at Adam’s Farm which is featured on the BBC program Countryfile. It was a brilliant way to start the day as we were learning first hand about working and living on a farm something that many people living in the Cotswolds do. 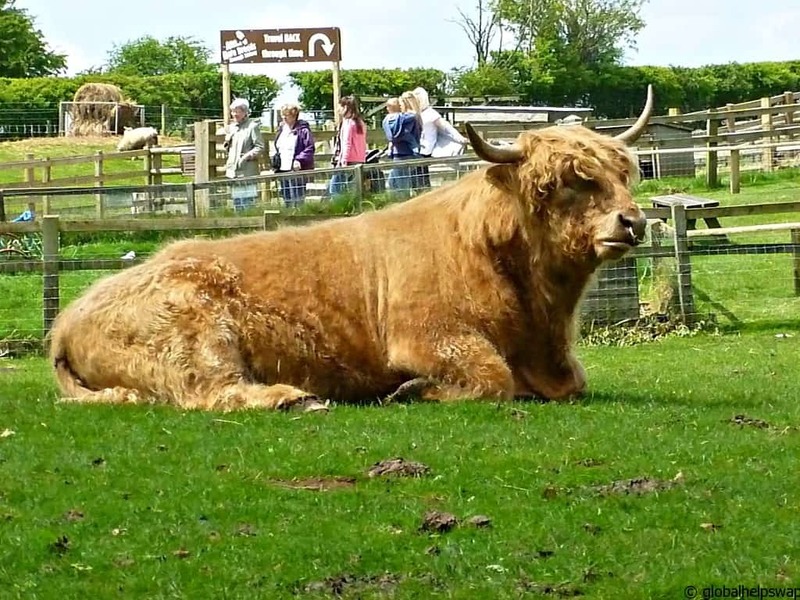 The farm specialises in rare breeds of farm animals like the big guy above! 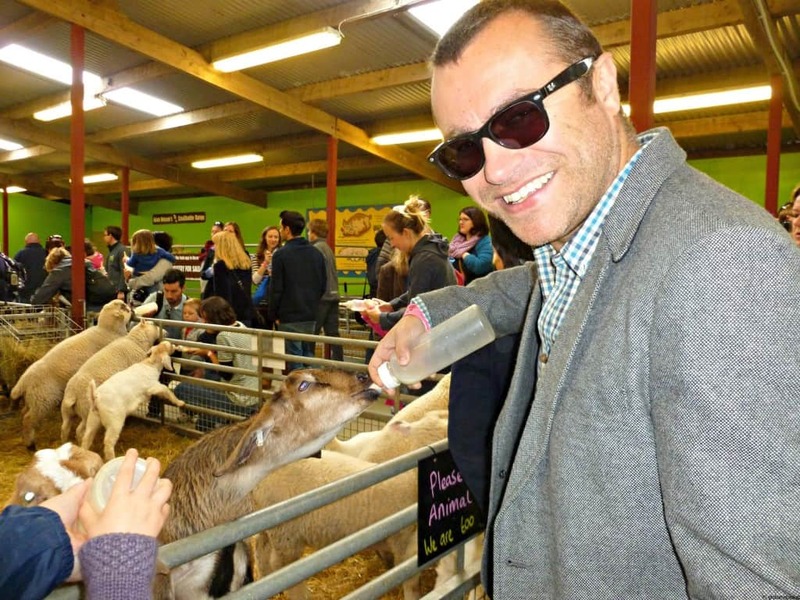 It’s a great place to bring children as there is lots of interaction going on with the animals. One of our highlights was milk feeding the baby goats. We spent a good few hours at the farm as there was so much to see and do. 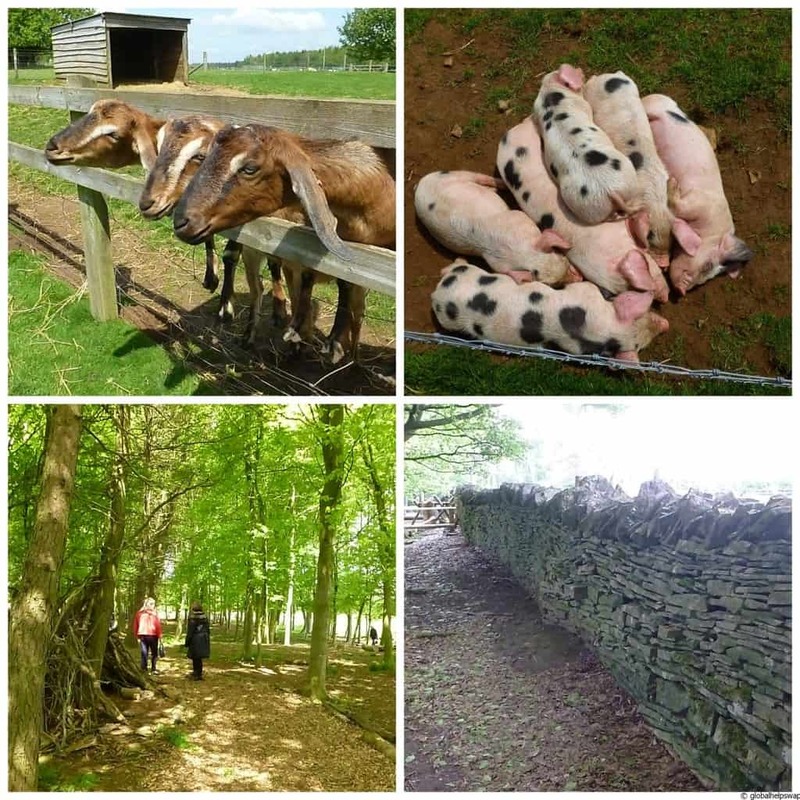 It’s located in a beautiful area so after seeing all the demonstrations and wonderful animals we would recommend having a picnic here too. After the visit to the farm we headed to some of the quaint villages for lunch and a good walk. The first place we stopped at was Bourton-on-the-water. 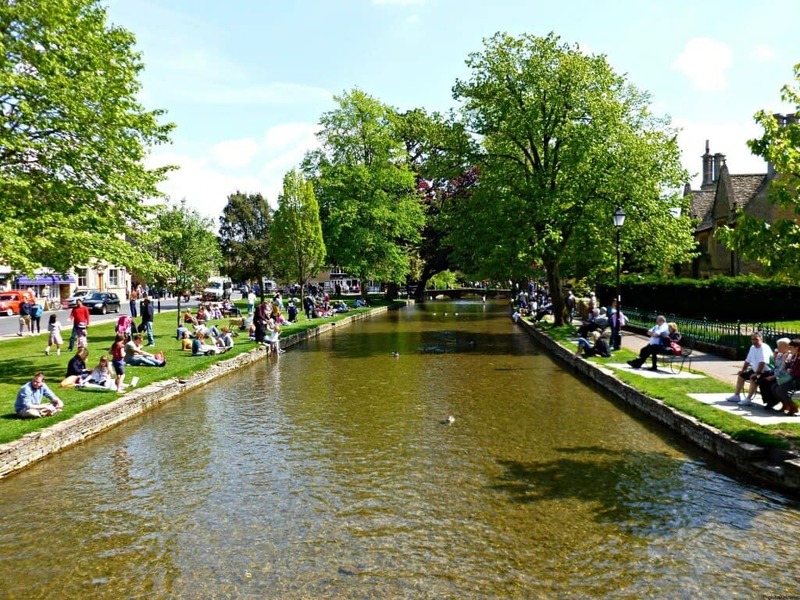 The village is known for its picturesque high street which is flanked by long green lawns and the river Windrush. 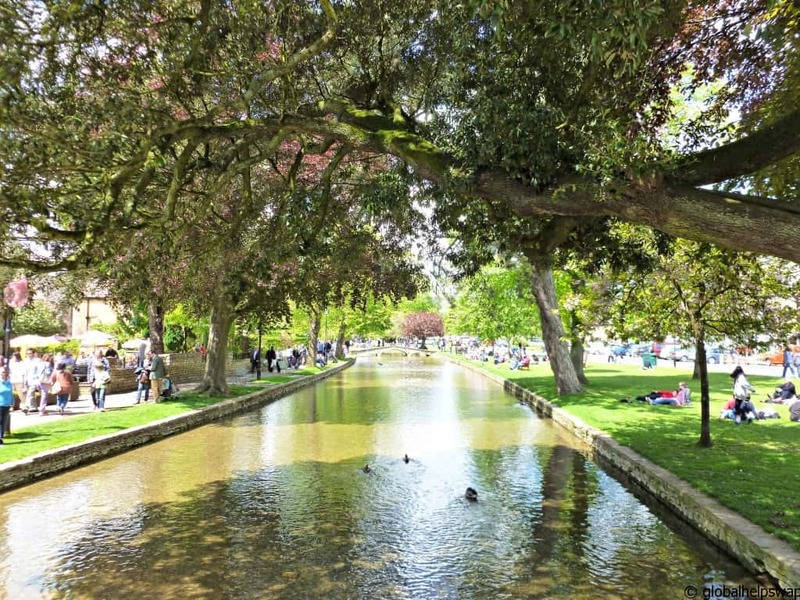 Bourton-on-the-Water often has more visitors than residents during peak times of the tourist season but that should not put you off from coming here. As I have mentioned before in previous posts, with an ever-expanding world population there are not many places on Earth that will be quiet for much longer! 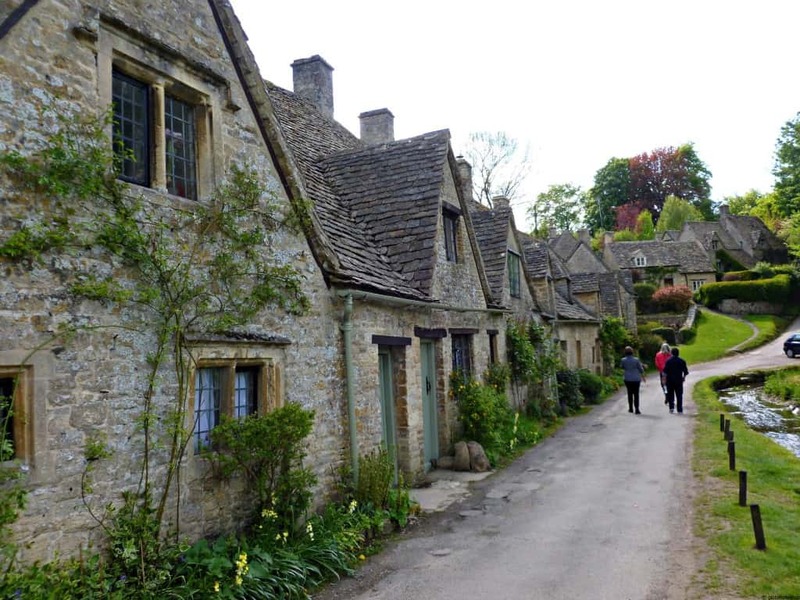 The other village we visited was Bibury which has one of the most photographed streets in England (See the first photo of this post). The road is called Arlington Row and the cottages were built in 1380 as a monastic wool store. This was converted into a row of weavers’ cottages in the 17th century.The village sits on the river Coln and is roughly about 6.5 miles (10.5 km) northeast of Cirencester. As you can see we had a wonderful day exploring our own backyard. Why don’t you create your own mini adventure this weekend? Please let us know if you do by leaving us a comment below. We must say a big THANK YOU to my Parents for being wonderful Cotswold tour guides for the day. 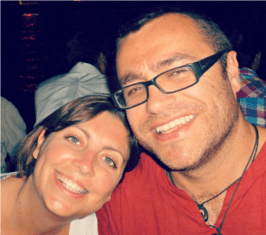 Work with us: Product / Service review. If you have a product or service that you would like us to review or endorse on the site, we are open to doing so. Please get in touch so we can discuss your product or service and how we can best share it with our readers. The best way for us to share a product / service is to experience it first hand, and pass on our honest thoughts and feedback to our readers. 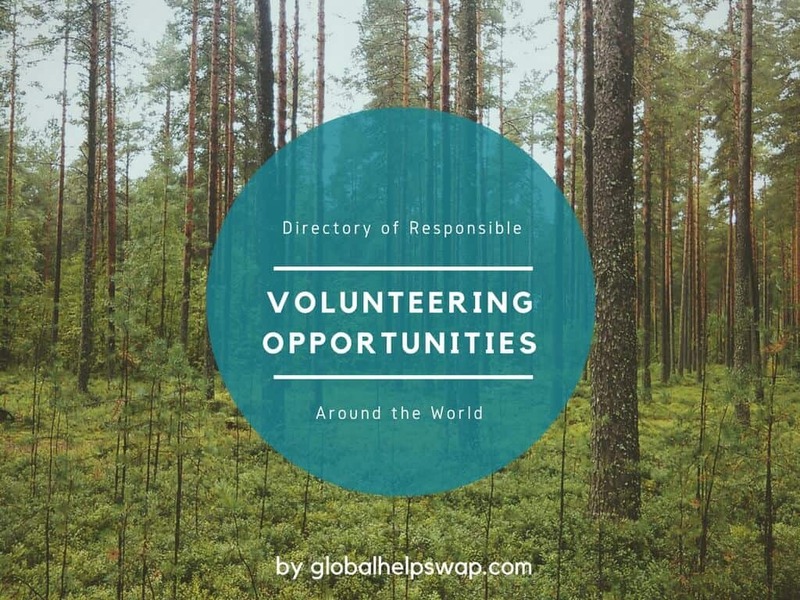 globalhelpswap helps travellers save thousands of dollars of volunteer agency fees by providing a free service for travellers & charities to connect. We rely on donations to keep the site running. Thank you for your support. I’m doing exactly this next month and exploring my own country for a bit and going to the Cotswolds so this is really handy. 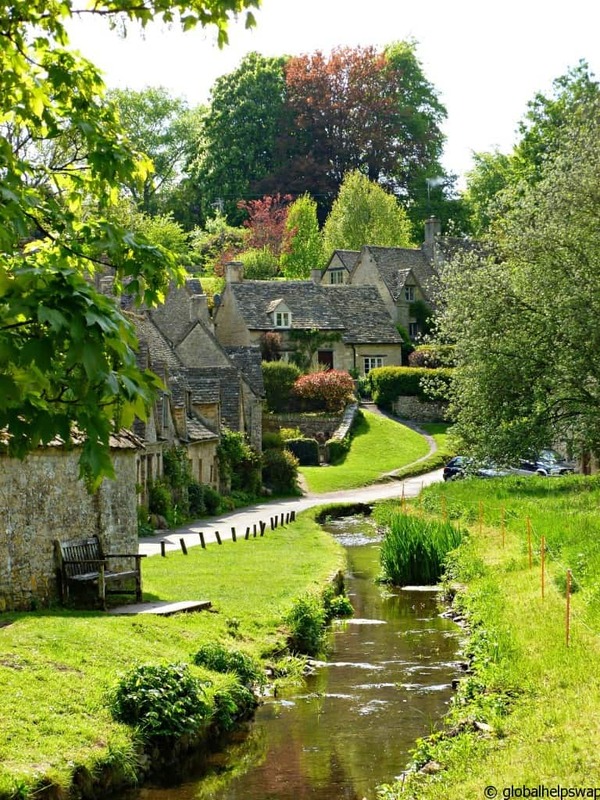 Bibury looks so pretty but so does everywhere else! I can’t believe I’ve never visited this area before even though I love so close! You will love it Ayla! It’s picture postcard scenery. Btw, are you going to blogstock? I love the pictures, I want to visit England again and see the Cotswalds and English Gardens. To stand where those buildings were built centuries ago would be thrilling. Bibury looks so pretty but so does everywhere else! I can’t believe I’ve never visited this area before even though I love so close!